Adobe and Microsoft each released critical fixes for their products today, a.k.a “Patch Tuesday,” the second Tuesday of every month. Adobe updated its Flash Player program to resolve a half dozen critical security holes. Microsoft issued updates to correct at least 65 security vulnerabilities in Windows and associated software. The Microsoft updates impact many core Windows components, including the built-in browsers Internet Explorer and Edge, as well as Office, the Microsoft Malware Protection Engine, Microsoft Visual Studio and Microsoft Azure. 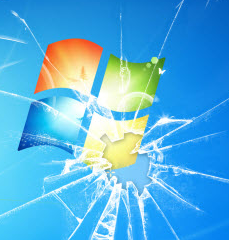 The Malware Protection Engine flaw is one that was publicly disclosed earlier this month, and one for which Redmond issued an out-of-band (outside of Patch Tuesday) update one week ago. That flaw, discovered and reported by Google’s Project Zero program, is reportedly quite easy to exploit and impacts the malware scanning capabilities for a variety of Microsoft anti-malware products, including Windows Defender, Microsoft Endpoint Protection and Microsoft Security Essentials. Microsoft really wants users to install these updates as qucikly as possible, but it might not be the worst idea to wait a few days before doing so: Quite often, problems with patches that may cause systems to end up in an endless reboot loop are reported and resolved with subsequent updates within a few days after their release. However, depending on which version of Windows you’re using it may be difficult to put off installing these patches. Microsoft says by default, Windows 10 receives updates automatically, “and for customers running previous versions, we recommend they turn on automatic updates as a best practice.” Microsoft doesn’t make it easy for Windows 10 users to change this setting, but it is possible. For all other Windows OS users, if you’d rather be alerted to new updates when they’re available so you can choose when to install them, there’s a setting for that in Windows Update. In any case, don’t put off installing these updates too long. 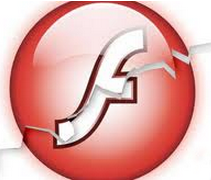 Adobe’s Flash Player update fixes at least two critical bugs in the program. Adobe said it is not aware of any active exploits in the wild against either flaw, but if you’re not using Flash routinely for many sites, you probably want to disable or remove this buggy program. Adobe is phasing out Flash entirely by 2020, but most of the major browsers already take steps to hobble Flash. And with good reason: It’s a major security liability. Google Chrome also bundles Flash, but blocks it from running on all but a handful of popular sites, and then only after user approval. For Windows users with Mozilla Firefox installed, the browser prompts users to enable Flash on a per-site basis. Through the end of 2017 and into 2018, Microsoft Edge will continue to ask users for permission to run Flash on most sites the first time the site is visited, and will remember the user’s preference on subsequent visits. The latest standalone version of Flash that addresses these bugs is 29.0.0.140 for Windows, Mac, Linux and Chrome OS. But most users probably would be better off manually hobbling or removing Flash altogether, since so few sites actually require it still. Disabling Flash in Chrome is simple enough. Paste “chrome://settings/content” into a Chrome browser bar and then select “Flash” from the list of items. By default it should be set to “Ask first” before running Flash, although users also can disable Flash entirely here or whitelist and blacklist specific sites. More information on today’s updates is available from security vendors Ivanti and Qualys. As always, if you experience problems installing any of these updates, feel free to note your issues in the comments below. Chances are, another reader here has experienced something similar and can assist in troubleshooting the issue. This entry was posted on Tuesday, April 10th, 2018 at 8:26 pm	and is filed under Time to Patch.